OK I’ll come clean – I am only stocking and shipping the Bluebox CD – but the links here will enable you to buy all the stuff that I’ve been involved with. Each link opens a new tab with the relevant shop on it. I have chosen a favourite track from each CD (very hard!) for you to listen to. The band members are all excellent musicians and I can’t thank them enough for making my songs sound so great! A. J. – Drums, Bob Murphy – Bass and Nick Swannell – Guitar who also recorded and produced the CD. To buy this CD here for £10 plus £1 p&p click the button below! 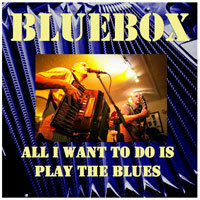 My chosen track is Bluebox – the story of an imaginary world where accordion driven blues somehow becomes the principle strand of popular music globally! 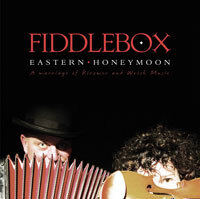 Click to open Fiddlebox’s shop in a new tab. My chosen track is The Unknown Russian – which is a set comprising of Beth (by George Whitfield) and Troika (A Russian Dance) The first tune was written for my wife, and its ever-changing beat tips us headlong into a fast and furious Troika. Sharing the name with the Russian three-horse carriage, this is a dance for one man and two women. Paul Hayes is a folk singer and songwriter living in Pembrokeshire. 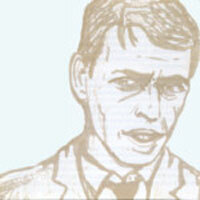 He has a knack for re-inventing folksongs as well as producing original material with a folky feel. 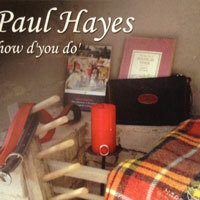 “How d’you do” is Paul’s second solo CD of recent years and also features the fiddle playing of David Jacob and the singing of Sue Oldreive. I play accordion on 3 tracks and whistle on another. My chosen track is The Moonrakers which is about evading the tax on cheese in his home town of Middleton! 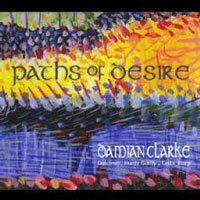 Click to open Damian Clarke’s shop in a new tab. Damian Clarke is lead singer, founder member and mainstay of Pressgang and has been doing more and more amazing solo stuff mostly on Hammered Dulcimer and Hurdy Gurdy. I was very pleased to be asked to put some whistle, accordion and vocal on a few of the tracks. My chosen track is Raintrickle on which I play whistle. My part is the development of a jam we once had when I was helping Damian with one of his art exhibitions (yes, he painted the cover too…) Damian was playing the dulcimer during the opening to provide atmosphere and I jammed on whistle it was mostly pretty good, this is the tidied up version. 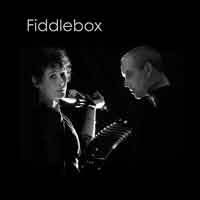 Fiddlebox is a duo with me on box and Helen Adam on fiddle, this CD captures our crossover between Welsh folk and Klezmer music. The album features songs and tunes written by me and Helen as well as traditional Welsh, English and Klezmer material. My chosen track is Girl from the East which is a Klezmer crossover with the English folk tune The Girl I Let Behind Me. 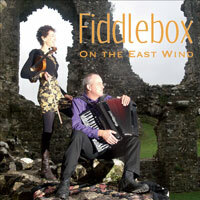 “Girl from the East” from On the East Wind by Fiddlebox. Click to open The Outcast Band’s website in a new tab. Although I’m not a member of The Outcast Band I’ve played live with them now and then over the years. I was delighted to be asked to do some accordion, Hammond organ and piano for this album. It’s a bunch of pithy rock ballads with a folky feel, played with vigour. 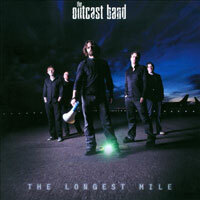 My chosen track is the title track The Longest Mile – it’s a classic Outcast’s wall of sound! Click to open Presgang’s shop in a new tab. Loads of MIDI accordion on this album! Half reeds, half Hammond with rocking renditions of English folk songs. My chosen track is The Gypsy Bride. I was in a library in the west country and asked for local folk songs. I got given some stuff that included “The Gypsy Countess part I” and “The Gypsy Countess part II”. Part II was a version of “The Raggle Taggle Gypsies” which we all knew but part I was a revelation; she didn’t run away, she went home. This is Fiddlebox’s first CD and features MIDI accordion (unlike On the East Wind which is all acoustic) This album has a mix of Welsh traditional (often heavily arranged!) and stuff we wrote ourselves. My chosen track is Flowers by the Road which I wrote after having my car written off in an accident. The day after I tried to get hold of the Officer who dealt with me to be told that he was unavailable due to “a fatal” that he was dealing with near where I had been hit. Next day the flowers were there. 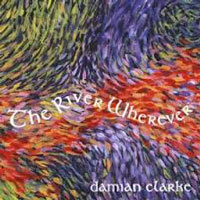 The River Wherever is a solo album from Damian Clarke of Pressgang with an unusual collection of songs and tunes he has written or arranged. Damian collects traditional songs and tunes from all over Europe many in minority languages such as Platt Deutsch and Breton. I play some whistle and accordion on a few of the tracks. My chosen track is Dat Arbendleed which is in Platt Deutsch. 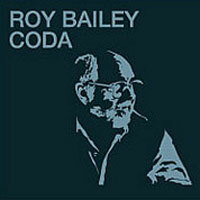 Click to open Roy Bailey’s website (http://roybailey.net) in a new tab. I only play on one track of this compilation album, a Jaques Brel song called “Les Timides” which was recorded for the Ne Me Quitte Pas / Brel Songs By… album in 1998. Scroll down to see that album. I’m proud to be on this especially since the it’s just my accordion and Roy’s vocal recorded live in the studio in one take! The rest of the album has a load of good stuff on it, and some great musicians: Karen Tweed, Ian Carr, Andy Cutting, John Kirkpatrick, Rory McLeod, George Whitfield, The Band of Hope (Martin Carthy, Steafan Hannigan, John Kirkpatrick, Dave Swarbrick) and The Albion Band (Ashley Hutchings, Neil Marshall, Joe Broughton, Ken Nicol) My chosen track is, of course, Les Timides. 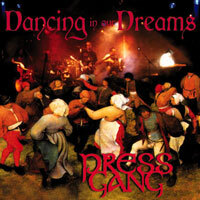 Dancing in our Dreams has Pressgang’s folkiest line up with rhythm section Miranda Sykes and Maclaine Colston able to double on Double Bass and Hammered Dulcimer for an acoustic folky sound. My chosen track is Three Brothers from Spain, a remake of a version we used to do in the early days before the first CD (It was on a tape we sold but that is sadly no longer available). I get to do my bellows shake thing on it and with an infectious beat and cheery chorus it was always a live favourite. Click to open a commercial shop that stocks C.I.A. in a new tab. 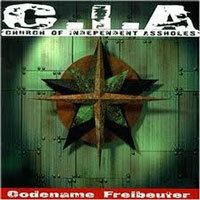 Hamburg punk super-group C.I.A. were recording with Joszi Sorokowski who produced Pressgang’s Fire album and wanted some Celtic instruments here and there – I was touring Germany with Fiddle player Imogen Gunner and Guitarist/Whistler Fintan Jones and we all ended up playing some punk music. It was fab! My chosen track is Der Stortebeker, a punk version of a German folk ballad about a rebellious pirate whom I believe really existed. It’s a great track – rocking and thashy but clever too and well arranged. “Der Stortebeker” from Codename Freibeuter by C.I.A. Click to open Des de Moor’s (interesting!) shop in a new tab. Rather by chance I play on two tracks on this album, one with Roy Bailey which you can hear on his album Coda above, and one with Jon Harvison. Other artists on the album include Tom Robinson, Steve Knightley, Attila the Stockbroker and Robb Johnson who is I believe mainly responsible for the album in the first place. 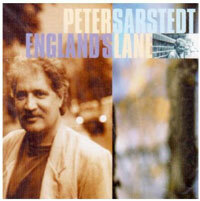 “Le Moribund” by Jon Harvison from Ne Me Qutte Pas / Brel Songs by…..
Click to link to the albums page of Peter Sarstedt’s website. I play accordion on two tracks of this album. I’m guessing not many were made because I just searched around on line and the cheapest I could find it was over £60! It was great to record for Peter in London – he’s an amazing storyteller and very amusing – It’s a wonder we got anything done! Loads of good music and musicians on this album including Albert Lee, Gerry Hogan, Simon Mayor, Sam Brown and Peter Lincoln. My chosen track is billed as The Last of the Breed on the back of the CD, but inside it’s called “The Last of the Breed (Lovely 2)”. 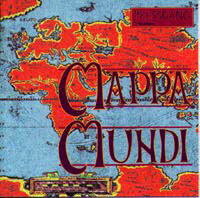 Its the follow up to “Where Do You Go To My Lovely” and I had hoped it would enjoy similar success…..
I’ve just sat for over half an hour wondering what to write about Mappa Mundi – at the time we were all hugely committed to Pressgang – racing around Europe playing, and then home to spend hours and hours in the studio, not to mention keeping up the maintenance on our tired instruments and the van, and writing songs which naturally reflected our experiences of the time. There was a lot going on and I hope some of that comes through in the music. My chosen track is Forty Summers which I sing and also get to do one of my favourite things – play the accordion through a flanger! 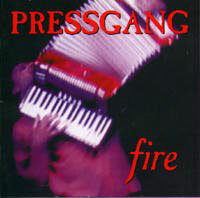 This album features the “classic” line-up of Pressgang that went on to record Mappa Mundi, and reformed in 2005 to record Outlandish. It’s also the current line-up as I write in 2014. Recorded in Hamburg with an excellent producer Joszi Sorokowski this album rocks! My chosen track is Take a Jump. We recorded the instruments in one take, all together and apart from adding the vocals there are no overdubs. I like the way we work together, the 4 parts interlocking like a puzzle: the result of lots of live playing. 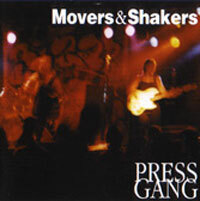 There are plenty of earlier recordings of Pressgang (one 7″ single, one vinyl LP, two 12″ EPs and loads of tapes! If you’re scrabbling that far back contact me and I’ll try to help!) 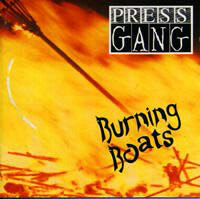 but Burning Boats is the earliest album that is still easily available. It features the fiddle playing of Imogen Gunner and was produced by Martin Rushent who famously produced The Stranglers and The Human League. My chosen track is Head, Heart and Hand which I co-wrote with Steve Hunt. Some Readers may be fans of WOB who’s distinctive voice can be heard on backing vocals during the choruses.